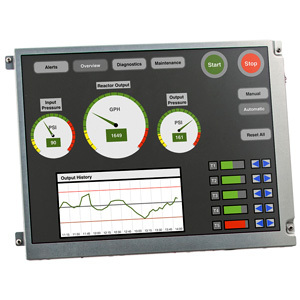 A versatile, open-frame display with the right interface for your application. Our open-frame displays are ideal for customers who are looking to integrate a rugged monitor into their own product designs. Commodity displays won’t stand up to the demands of industrial applications. We start with high-performance panels, add the video interfaces you require and improve shock and vibration resistance for long life and reliability in an industrial setting.